Matching shirts and ties can be intimidating, especially when they both have patterns. 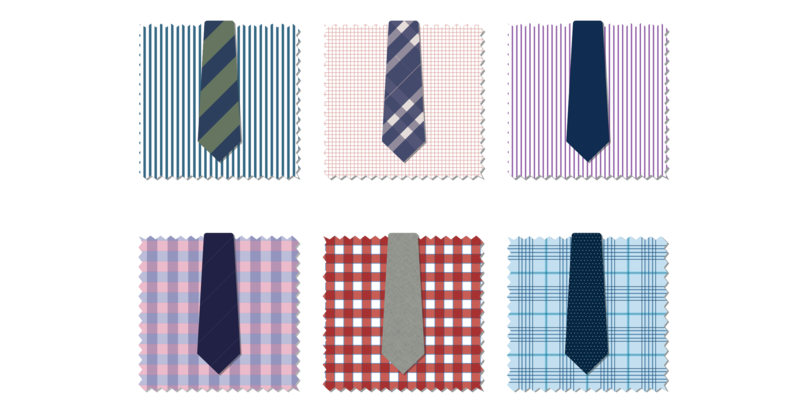 But while it seems difficult to get right, all you have to do is follow one simple rule: Shirts with small patterns pair best with ties that have large patterns, and vice versa. We’ll break it down a little further. If your closet has mostly neutrals or tends to live in a particular color family, stick with that theme. Selecting a pattern in colors you’re already comfortable with makes matching so much easier. 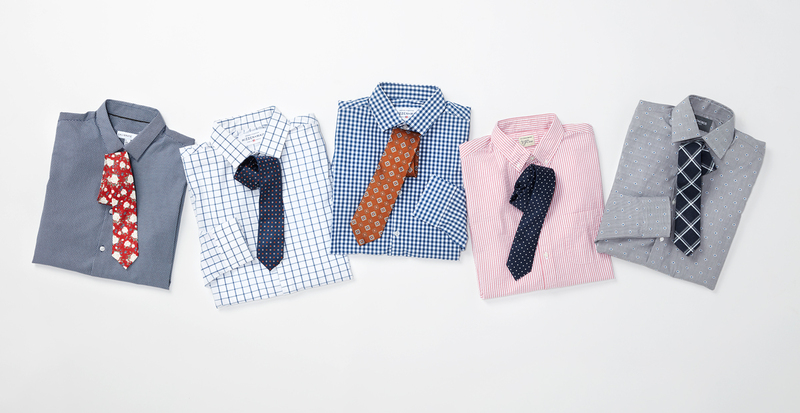 Let’s take this tie, for example: a navy-and-white jet plaid. It has color without being flashy, and a large, but relatively simple design. 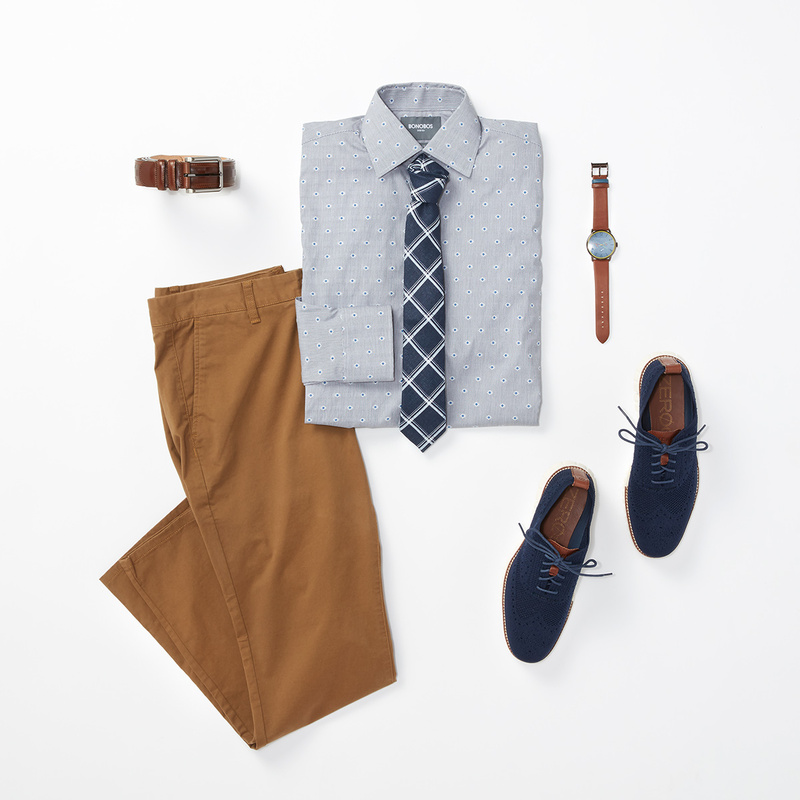 Paired with this grey shirt, the tiny details are emphasized by the style and color of the tie. When worn together, both patterns get equal amounts of love without competing. So, you want to push the envelope when it comes to mixing patterns. The first step is to find something bold that’s beyond traditional stripes or checks. 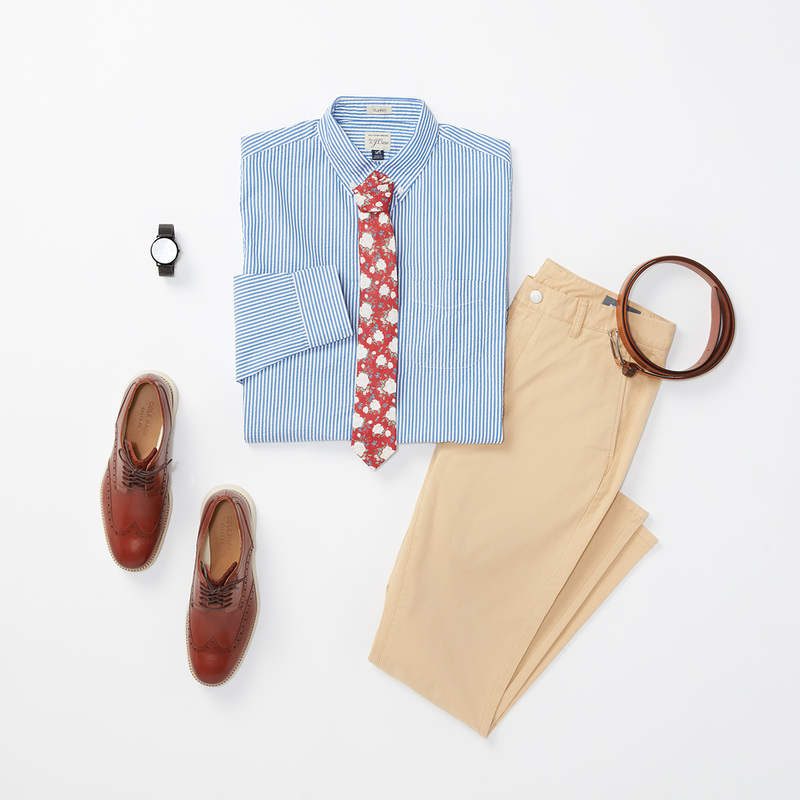 In this case, we’ve chosen a floral tie as our large pattern and paired it with a thinly striped shirt. Note: We selected a light-blue shirt to bring out the matching hues in the tie.